For everybody who wants to learn GNOME Desktop Environment on their computer regardless GNU/Linux operating system being used. 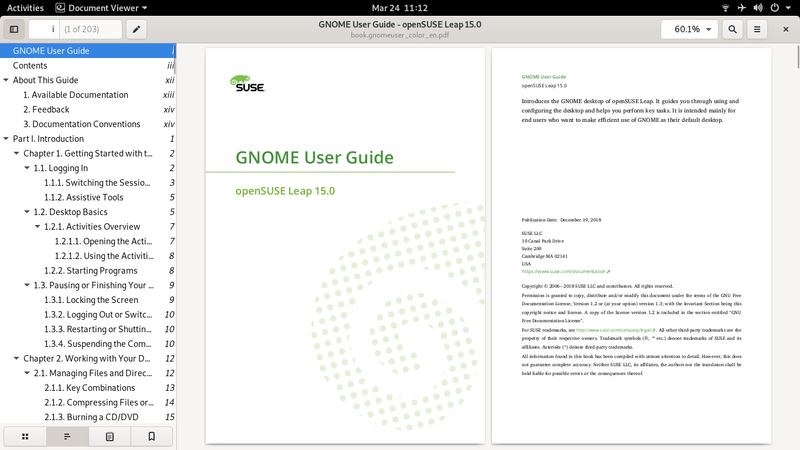 If you missed official GNOME documentation in PDF, you will find openSUSE's GNOME User Guide satisfying. It covers everything about using GNOME desktop and its apps for desktop-oriented users. 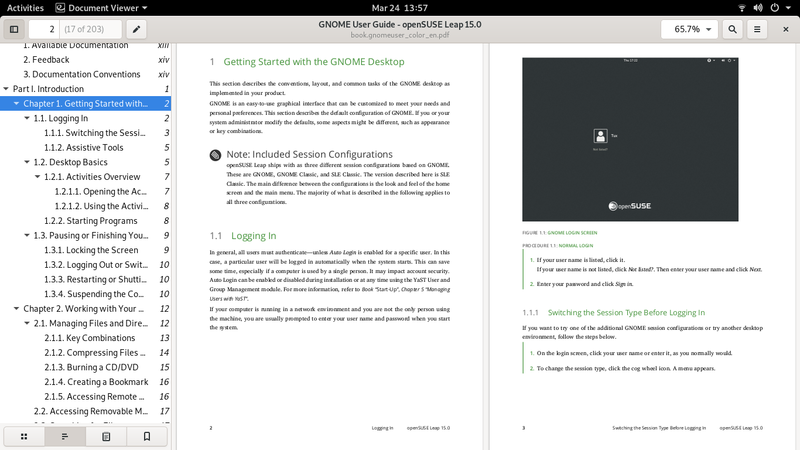 As usual, openSUSE documentation designed very professionally (just like SUSE's one) and the book layout looks very great. 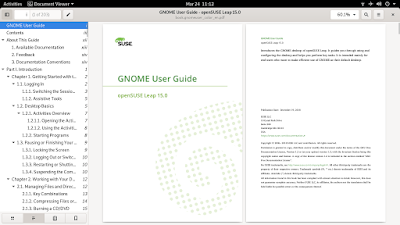 In simple words, by this guide book everybody could learn to use GNOME Desktop Environment and its main applications (Nautilus, System Settings, etc.) no matter they use openSUSE or other GNU/Linux distro. I wish everybody could get this book and enjoy learning. Happy reading!